The Kodo styling language seen on last year’s Koeru concept seems to translate well to a production car, judging by these teaser images of the upcoming CX-4 from Mazda’s Chinese press site. 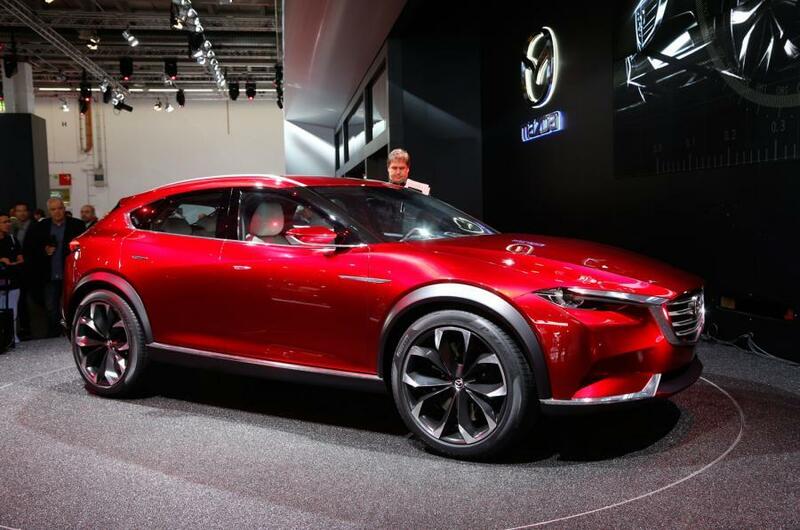 And, as has been seen on several recent Mazdas, concept cars can be quite close to their eventual production versions. An earlier press release implies the CX-4 should be seen as a more coupe-like counterpart to the CX-5, with some of the MX-5’s characteristic and often emphasized jinba ittai feel injected into it – if the MX-5 is all about the rider and horse being one, the CX-4 would just be a slightly bigger steed. The 19-inch wheels and LED headlights are some of the more attention-grabbing details on the car. Inside, there’s a head-up-display and a MZD connect infotainment screen as seen on other current models. The hardware on the “Exploring-Coupe SUV”, as Mazda call it, should match the CX-5: 2.2-liter SKYACTIV-D turbodiesels in some markets, 2.0 and 2.5-liter SKYACTIV-G gasoline engines in most. There will also be a choice of front-wheel-drive or all-wheel-drive. The Beijing Motor Show opens to the public on April 29th, so we won’t have to wait a whole lot longer to see the whole thing.